Dr. Noriko Kawamura, associate professor of history, published Emperor Hirohito and the Pacific War (University of Washington Press, 2015). 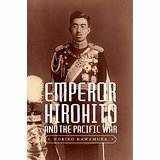 This reexamination of the controversial role Emperor Hirohito played during the Pacific War gives particular attention to the question: If the emperor could not stop Japan from going to war with the Allied Powers in 1941, why was he able to play a crucial role in ending the war in 1945? Drawing on previously unavailable primary sources, Noriko Kawamura traces Hirohito’s actions from the late 1920s to the end of the war, analyzing the role Hirohito played in Japan’s expansion. Emperor Hirohito emerges as a conflicted man who struggled throughout the war to deal with the undefined powers bestowed upon him as a monarch, often juggling the contradictory positions and irreconcilable differences advocated by his subordinates. Kawamura shows that he was by no means a pacifist, but neither did he favor the reckless wars advocated by Japan’s military leaders. Karoline “Kaja” Cook is a clinical assistant professor and teaches in the Roots of Contemporary Issues Program. She has a PhD in history from Princeton University (2008). 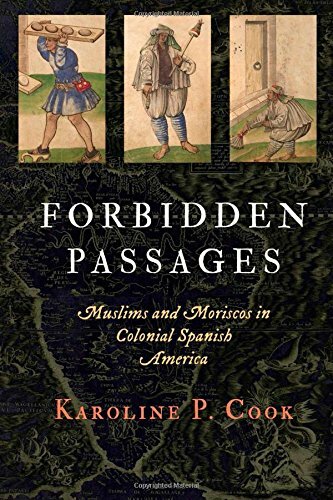 Her book, Forbidden Crossings: Moriscos and Muslims in Spanish America, 1492-1650, has been published by the University of Pennsylvania Press. The Statue of Liberty—depicted on a roadside billboard—did not carry her customary torch and tablet. Instead, she shielded her eyes from words that towered beside her, words that highway drivers could not possibly avoid: “We are no longer a Christian nation.” Underneath was the name of the man who spoke them, the nation’s president, Barack Obama. He had made the original statement—”Whatever we once were, we are no longer a Christian nation, at least not just”—four years earlier. Since then those words had appeared, in one form or another, not just on billboards but in a host of other venues, a visible symbol of America’s divide over religion and politics. In Faith in the New Millennium, editor Matt Sutton and a group of leading historians explores the shifting role of religion in American politics in the age of Obama, shedding new and fascinating light on the interplay of faith and politics. Each of the 16 contributors examines a contemporary issue, controversy, or policy through a historical lens. In an age of 24-hour news, where complexity is often buried under bluster, these essays make a powerful case for understanding the stories behind the news. They tackle such topics as immigration reform, racial turmoil, drone wars, foreign policy, and the unstoppable rise of social media. Taken together, they reveal how faith is shaping modern America, and how modern America is shaping faith. 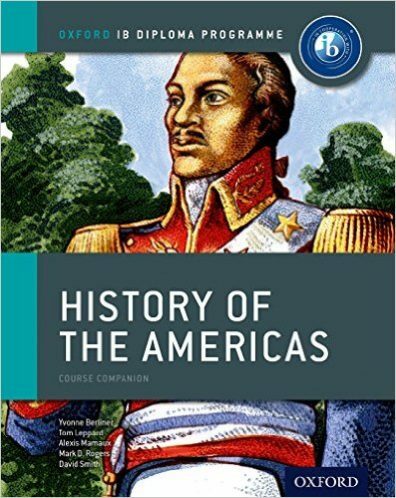 Packed with hard-to-find primary sources from both the American continents and written by five experienced International Baccalaureate (IB) teachers, examiners, and workshop leaders, this course book supports top achievement in HL option 3 for the 2008 syllabus. Developed with the IB and written with an IB Assessment Consultant, it ensures the strongest performance. Oxford’s IB Diploma Course Books are essential resource materials designed in cooperation with the IB to provide students with extra support through their IB studies. Course Books provide advice and guidance on specific course assessment requirements, mirroring the IB philosophy and providing opportunities for critical thinking. Sue Peabody, Born Free: A French Slave’s Struggle for Freedom (Oxford University Press, 2016). Jeffrey C. Sanders, Childhood and Environment in the Postwar American West (Cambridge University Press, 2016). Jesse Spohnholz, et al., Archeologies of Confession: Writing Histories of Religion in Germany, 1517-2017 (Berghahn Press, 2016). David Clif Stratton, Education for Empire: America’s Schools as Paths of Good Citizenship (University of California Press, 2016). Matthew Avery Sutton, FDR’s Army of Faith: Religion and Espionage in World War II (Basic Books, 2019).